(RxWiki News) It’s National Diabetes Month, and you can celebrate by learning how to better manage your diabetes. 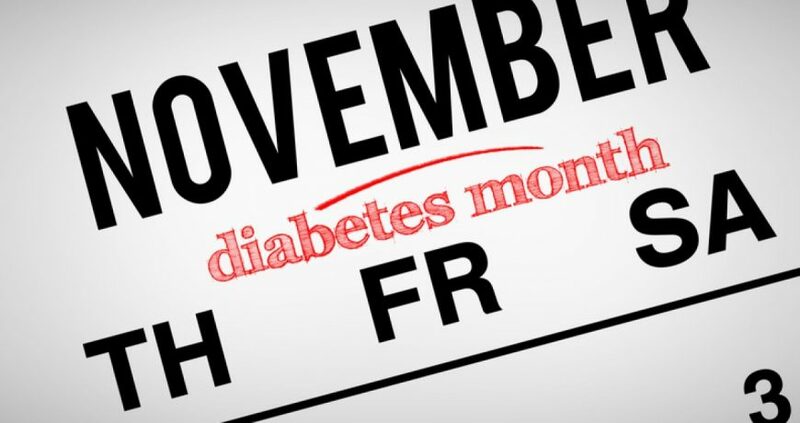 Diabetes is a chronic condition, but it is manageable. And unmanaged diabetes can pose serious risks to your health. So, if you’re concerned about your diabetes or your risk of developing the condition, speak with your health care provider. Keep reading for more tips on how to improve your diabetes care. Keeping your diabetes in check is about more than managing your blood sugar. While keeping your blood glucose at healthy levels is extremely important, you can make many other healthy lifestyle choices to boost the work your medications are already doing to preserve your heart and kidney health, as well as your health overall. For example, keep an eye on your sodium and cholesterol intake. Too much sodium is one of several factors that can increase your blood pressure, which ups your risk for heart disease. High cholesterol has also been tied to heart disease. And heart disease is a commonly known risk of unmanaged diabetes. Make healthy diet decisions, such as opting for lean meats, fruits, and vegetables instead of processed meats and fried foods. Balance your meals. Be sure to have a good mixture of good carbohydrates, fruits and vegetables, proteins and fats. This leads to the next tip: Learn about carbohydrate counting because carbohydrates are what have the biggest impact on your blood sugar levels. Pay attention to the types of carbohydrates you choose, as some types are better for you than others. Maintain a healthy weight through exercise approved by your doctor. Aim for at least 30 minutes a day on most days of the week. Take your medication as prescribed, even if you feel fine. You can’t lose significant amounts of weight overnight; in fact, doing so could be unhealthy. And if you make your weight loss and other health goals unrealistic, you might feel burned out before long. That’s why it’s important to set realistic goals for your diabetes care. If you’re having trouble watching your sugar intake, for instance, don’t immediately eliminate all sugar. Instead, ask your doctor what a healthy first step could be. It might be as simple as eating a little less dessert each night. Also, if you’re finding it difficult to make time to exercise, you could try scheduling smaller exercise breaks instead of one big exercise session. Of course, always ask your health care provider whether it’s safe for you to exercise. It is very important to monitor your blood sugar regularly to ensure it remains within your target range. Keeping your blood sugar within the normal range prevents further damage to your body and can help your health care provider know whether your treatment plan is working. Your health care provider can make any necessary adjustments to your treatment. Your health care provider will recommend how often to check your blood sugar each day. Several blood glucose meters and testing tools are available. For more information, read Managing Diabetes.